Welcome back to Kathryn's Loves! 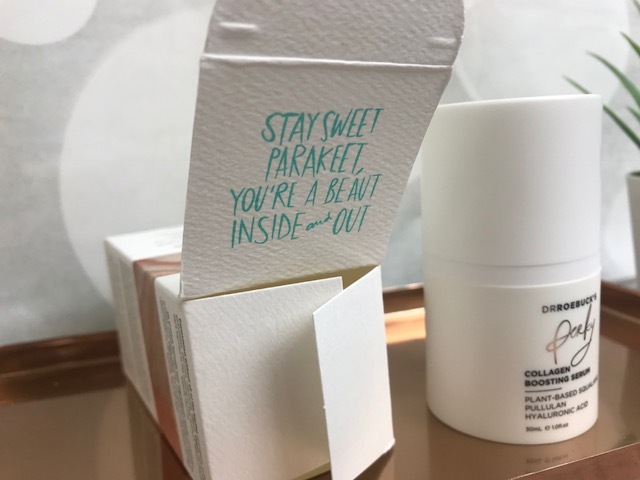 Apologies for the long break, but unfortunately there has been a lot going on, but I a now back and ready to bring you a plethora of the latest skincare and makeup product reviews. Today, I am starting with the Dr Roebuck's Perky Collagen Boosting Serum. Over the last few months, skincare has been my most enjoyable beauty products. Don't get me wrong, I LOVE makeup, but without a good base your makeup isn't going to look as good. So many things can affect our skin, whether it be the environment, harsh weather, hormones and our health, and so sometimes it can be harder to get on top of our skincare routine as we may need to make adjustments to the products we use depending on any of the things mentioned above. 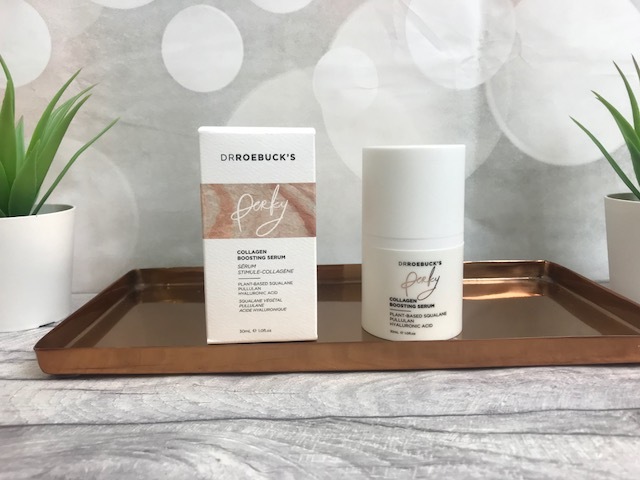 With freezing temperatures of late, my skin is super dry, and it feels sallow and doesn't look at all 'fresh', so after seeing one of my favourite You Tubers Natasha Bure discuss the Dr Roebuck's skincare range, I knew it must be worth giving it a whirl. Natasha lives in America, and has the purest of skin, and we all know Americans, specifically Californians ace that skincare life. Dr Roebuck's serum comes in many different options for different skin types, but I knew my skin need perking up. The Perky Collagen Boosting Serum is great for Normal/Oily/Combination and Dry skin types. It is a natural serum which helps with dryness, loss of firmness and elasticity, and fine lines and wrinkles. It is a natural yet powerful serum which not only supports natural collagen, it is also infused with plant-based squalene, ginseng, pullulan, Inca inchi and hyaluronic acid to give the skin a healthy, skin-quenching experience that doesn't leave you with an oily aftermath. 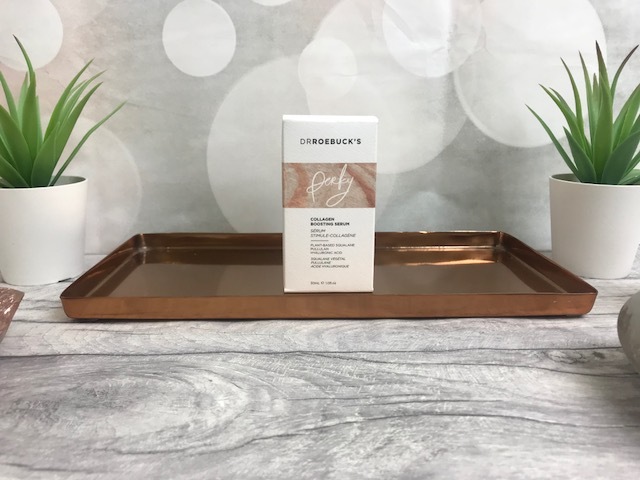 I have been using Perky for a few weeks now, and I started to notice a difference within the first 3-4 days, although for a deeper rooted result, this wouldn't happen until around six weeks, once your skin has had time to renew. My skin looks and feels more hydrated and I have started to lose that sallowness, which helps me look less like a zombie! Texture-wise, it is a lightweight product which has quite a citrusy scent to it, which is unusual for skincare, as normally they have more floral and spa-like scents but it is definitely pleasant and fresh. Dr Roebuck's skincare is made in Australia, built on science and natural ingredients. Their skincare is dermatologist tested, vegan and cruelty-free. You can find Dr Roebuck's Perky Collagen Boosting Serum in-store or online at SpaceNK, where 30ml will cost £46.